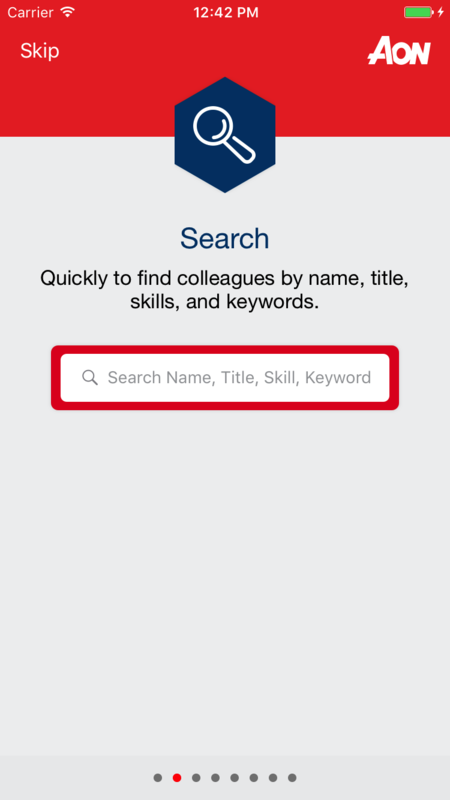 Aon employees needed a quick and convenient way to locate colleagues with precise expertise in a company of 50,000 people. 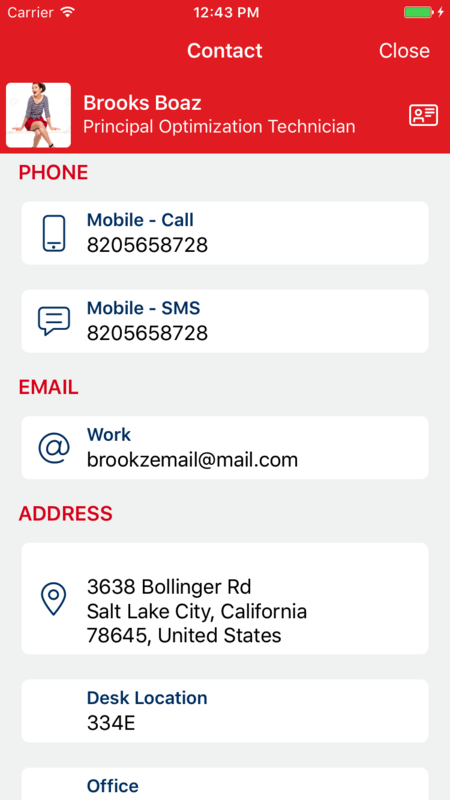 SPR created a streamlined and intuitive PeopleFinder mobile app that offers secure access to employee data stored onsite. Employees can search for, read about, and contact colleagues around the globe who can help their clients be more successful. Behind-the-scenes, SPR also implemented a more nimble way to work and a more flexible way to maintain onsite information that gives them a faster, safer, and smarter way to create new projects in the future. Aon, the world’s largest insurance brokering firm, has employees around the world. 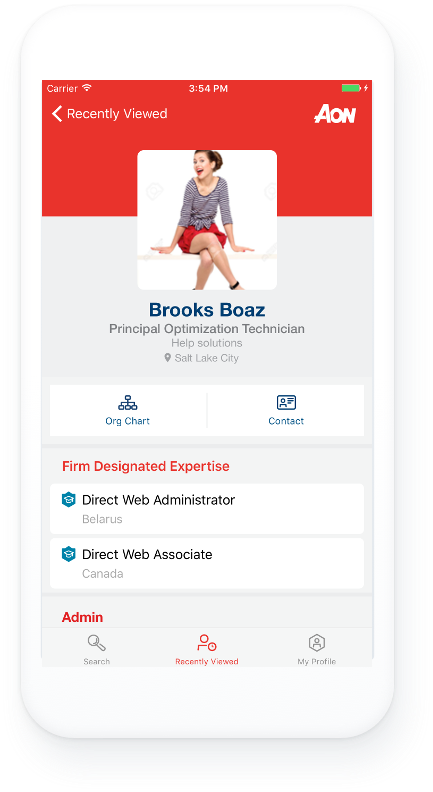 Their large, web-based employee directory, housed on-premises for security reasons, could not be scaled for mobile – and moving it to the cloud was not an option. So SPR began their development from the ground up. . 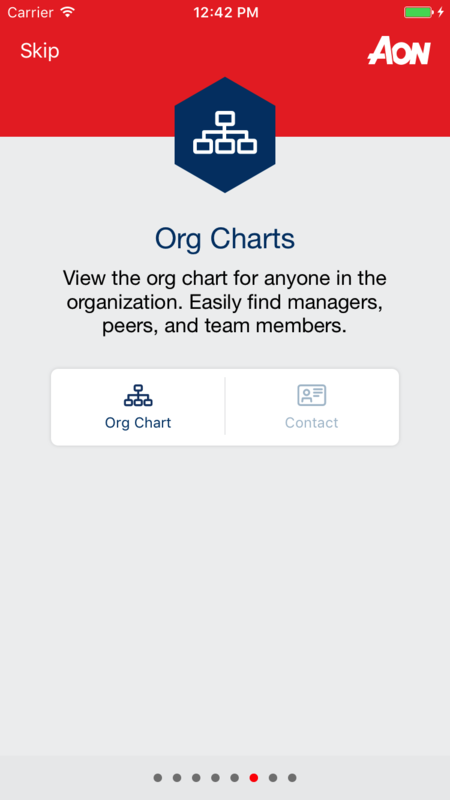 Company-wide organizational charts were replaced with individual org charts reworked for mobile navigation that showed each person’s position, manager, direct reports, and teams he/she belonged to. To keep it simple and enable easy identification of expertise, expert badges – such as risk management and analytics – were adopted from the web system and featured on profiles. The SPR/Aon team developed introductions and onboarding screens to get people familiar with the functions and features of the app. 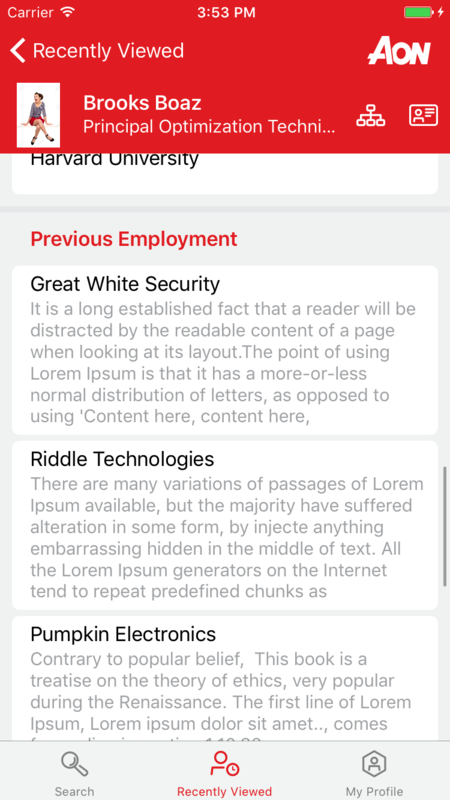 Aon employees may soon be able to edit their profiles on their phones, automatically updating their information onsite and in the web directory. Like many in their field, Aon valued security above all and preferred to use an on-premises software system and infrastructure to protect their institutional knowledge. To enable greater scalability and flexibility, SPR extracted Aon’s data away from the business logic and putting it in a different tier, using smaller microservices as a layer between the data stored onsite and the receiving device. No longer locked into a particular software system, data can be presented anywhere using the application logic on the device or downstream. Data from different sources can be integrated more easily. In the future, if Aon decides to employ new enterprise software or put data in the cloud, it will be easily accessible and ready for whatever they want to do. With the speed of business increasing every day, shortening the time it takes to deliver quality software applications, respond to changing requirements, and deliver value is critical in maintaining a competitive advantage. That's why, behind the scenes, Aon asked SPR to help their team adopt an agile approach, bringing together everyone from development to operations into a unified team to enable continuous updating and showcasing. The SPR/Aon team defined requirements, built out the software, demonstrated it, and tested it as they went along, enabling them to adapt to changes and integrate new features as they went along. Since the app would be used around the world, the range of potential devices was infinite. SPR tested for compatibility using Xamerin Test Cloud to show that the app would deploy successfully on the majority of phones employees have. 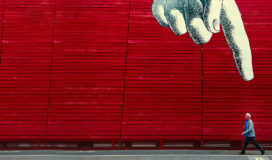 Xamerin made it possible to run automated compatibility tests whenever there were major changes throughout the project. 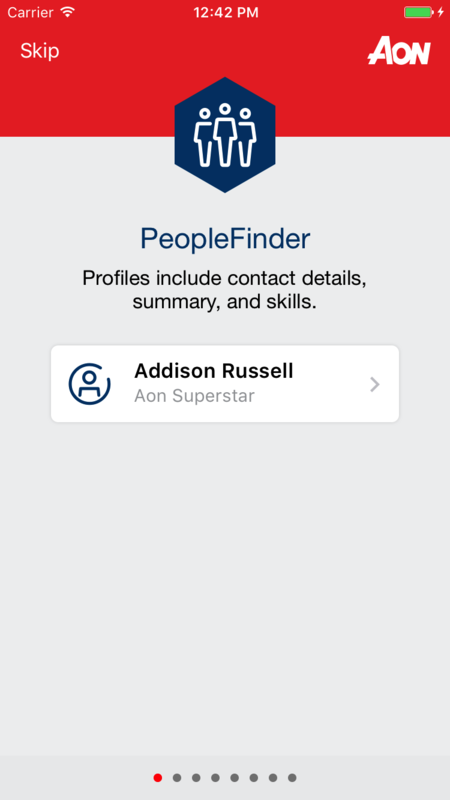 SPR built an intuitive, attractive, and powerful mobile app that helps Aon employees find colleagues with the right qualifications from around the world. But beyond that, by making Aon’s onsite data more flexible and changing the way Aon development teams work, SPR laid a strong foundation that positions Aon for rapid, seamless growth in the future.